Luscombe Drinks, with its usual perfect sense of timing, is proud to introduce ‘Rhubarb Crush’. Designed to be enjoyed either as a soft drink or mixer, Rhubarb Crush has been created with the sophisticated adult in mind, and like all the Luscombe range, contains no artificial additives, sweeteners or concentrates. Its flavour profile is fresh and bright; the tartness of rhubarb tempered by the soft sweetness of vanilla. As well as organic rhubarb juice, the ingredients of this gently sparkling drink include organic blueberry juice, organic Madagascan vanilla extract and organic lemon oil. Its colour is subtle yet eye-catching – an enchanting soft pink. Its calorie count is less than 60 calories per bottle. 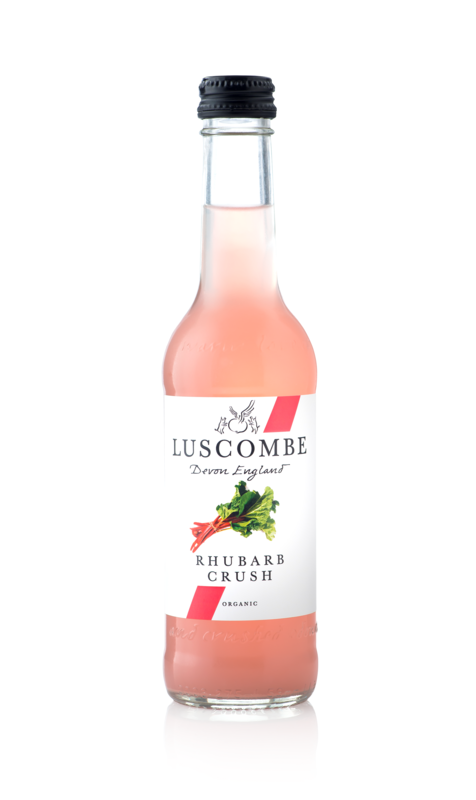 Rhubarb Crush, which is available in a 27cl bottle (RRP, £1.95), joins the other crushes in the Luscombe range – Raspberry, Lime, Strawberry, Apple, Cranberry and Blueberry. These crushes can be enjoyed in many ways: over ice as an instant pick-me-up; in mocktails and cocktails; well chilled as an alternative to Champagne or Prosecco; or with food. When pairing with a meal, the general rule is to choose the fruit that goes with what you’re eating. On this principle Rhubarb Crush is sure to be enjoyed with rich tasting foods – think pork, duck and oily fish – and spicy cuisines, including Asian. Luscombe produces beautifully crafted seasonal juices as well as fruit crushes, bubblies, ginger beers, sparkling fruit water, tonics and mixers. Their range includes 33 flavours, all of which are produced in Devon with a meticulous attention to detail and handmade from the finest, freshest ingredients sourced both locally but also from further afield. For further information on Luscombe Drinks please visit www.luscombe.co.uk, follow Luscombe on Twitter: @luscombedrinks, Instagram: luscombedrinks or ‘Like’ on Facebook.